Allevyn® Life dressing is a multi-layered design incorporating hydrocellular foam, hyper-absorber lock-away core and masking layer which has been designed for people and their everyday lives. Allevyn® Life Heel has a unique design and is the only heel dressing to provide coverage to the malleolus without the need for secondary retention. Unique quadrilobe shape with a wide border designed to fit the contours of the human body more securely and allows patients to shower. The protective layer masks strikethrough (in-vitro). Excellent fluid locking under pressure (in-vitro). Common wound odor absorption when tested (in-vitro) on representative compounds. Allevyn® Life’s multi-layered design provides cushioning and helps spread pressure (in-vitro). 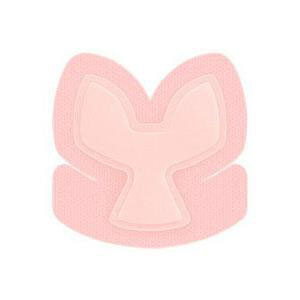 Silicone wound contact layer offers minimal pain and discomfort on removal while allowing the dressing to be repositioned. Change indicator optimizes dressing change frequency and minimizes waste.